We've designed the posBoss menu for the best use of space on an iPad app. There are a few limits to be aware of when building your menu. All other plans - 5 Pages/Tabs, 10 Sections per page, and unlimited items . You can create up to 5 pages for your menu. 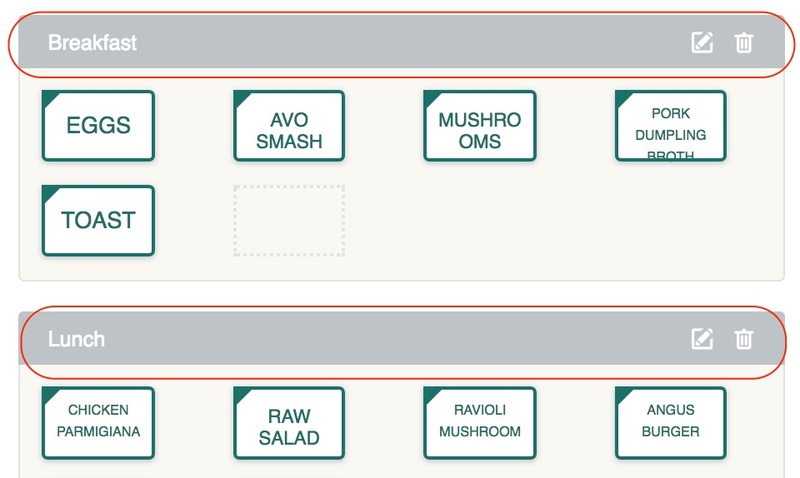 Think about the high level categories of your menu offerings and pair them on the same page if needed and use sections. Per page, you can break down your menu into 10 sections, giving you a total of 50 sections to use. Well, there probably is a limit but we haven't needed to find it yet. We have one customer with around 700 items on the menu and all is working well.